Spring flowers are always a welcome sight that indicates the start of warm sunny days. 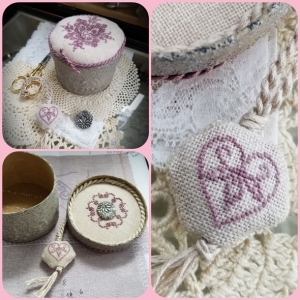 Pick up your needle and create a sweet scene of fauna and flower along two bands of 36 count linen. 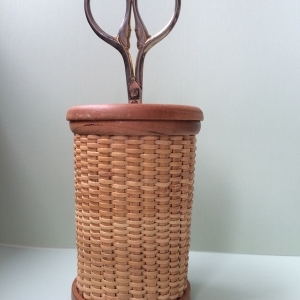 The bands are then attached to a perfectly sized basket with a swinging handle that keeps all your stitching tools in one place. Also tucked into the basket are a scissors case and pin keep. A treasure to cherish forever! This basket is handmade by a friend of many years who is a basket designer extraordinaire. A plethora of silk threads both overdyed and plain, are used to create these delightful images. Finishing can be accomplished with simple hand sewing techniques. The entire process will be demonstrated in class. 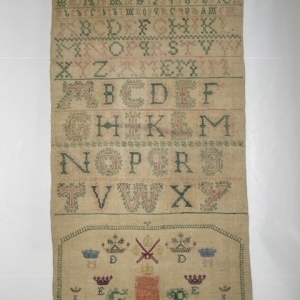 This class will be hosted by two teachers, Barbara and Kathy, friends who first met at the Royal School of Needlework. 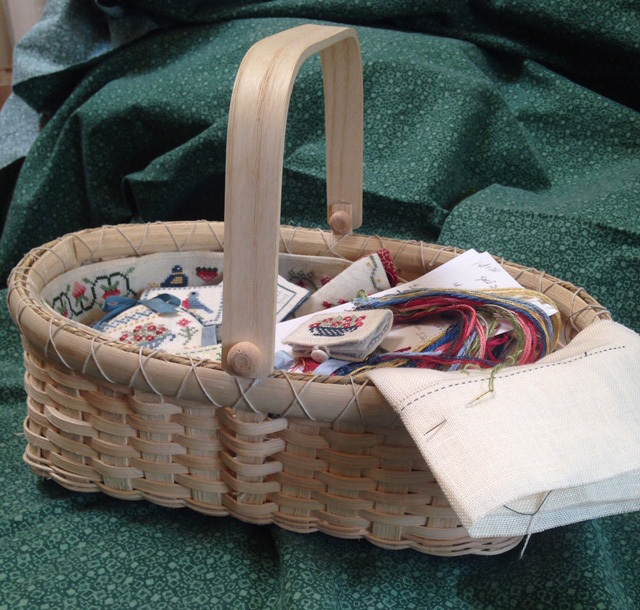 Please note: You must sign up before Celebrations begins as these baskets have to be handwoven and shipped to NH. 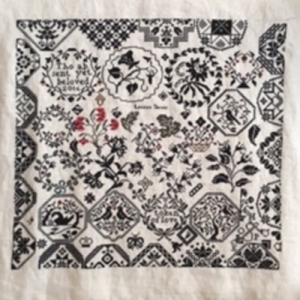 Kathy Neal has shared her needlework expertise for more than thirty years through seminars, magazine publications and television. She studied at the Royal School of Needlework, receiving their Certificate in Hand Embroidery in 2004. Kit includes: 36 Count linen, silks, lining fabric, needles, basket and complete instructions for creating and finishing with pictures. Please bring to class: Paper scissors and extra lighting and magnification if needed, and normal stitching supplies.